Our program is one of few in the country that combines exercise and nutrition sciences in a single degree. We offer unique opportunities to fine-tune your career pathway through specialization in Allied Heath, Health Promotion, Nutrition and Wellness (Dietetics), or Strength and Conditioning. Because the Bureau of Labor Statistics projects a faster than average job growth rate for exercise, health, and nutrition fields through the year 2024, we feel confident that our majors are prepared for rewarding careers and advanced educational and training opportunities. With a heavy focus on science courses along with study in areas like exercise physiology and testing, biomechanics, and pharmacology, the Allied Heath concentration prepares students with a variety of graduate school and career opportunities. With the job market for physical and occupational therapists remaining strong for the foreseeable future, this concentration is a good fit for those interested in the science of exercise and human movement. Students will complete an internship in settings that allow them to apply their learning in physical therapy, rehabilitation, and sports medicine facilities. Recognizing that biomechanics and exercise science are directly affected by how we fuel our bodies, our Nutrition & Wellness concentration provides the opportunity to study the components of a healthy diet and proper nutrition. 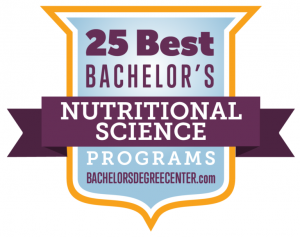 Students who earn exceptional grades are eligible for admission to our accredited program in Dietetics; the best route toward becoming a Registered Dietitian in the state of Alabama. A non-teaching minor with a minimum of 18 hours in Exercise and Nutrition Science is available. Students should consult the Bulletin for more information.